March 23, 2018 marks 8 years since the Affordable Care Act has been enacted. This healthcare programs has brought affordable and quality care to millions, including over 1 million Illinoisans. 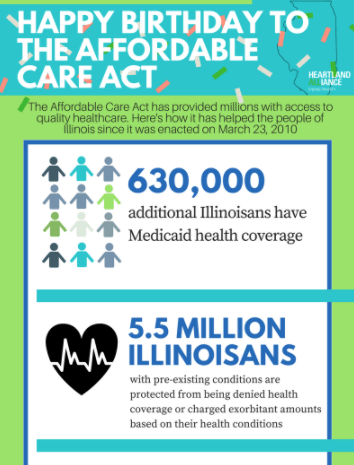 View our infographic to see the impact of the ACA in Illinois and to celebrate another year of healthcare access for millions, including those that Heartland Alliance serves in Illinois and across the nation. Copyright 2018 by Heartland Alliance Policy And Advocacy. All rights reserved.